I'm a plant nut. 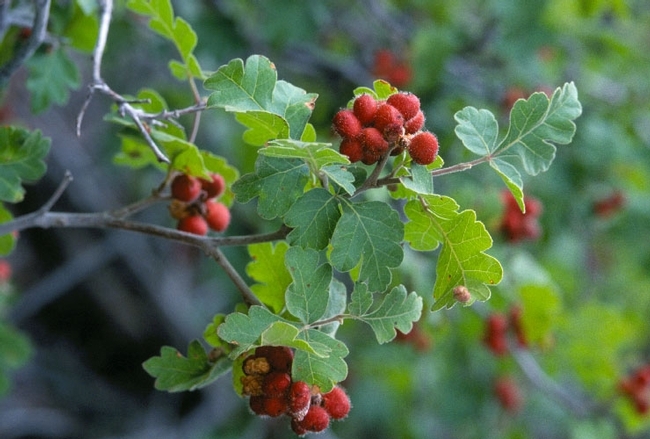 Whenever we travel, I'm always noticing the native flora, keeping my eye out for wildflowers, and scouring the roadsides for nurseries. This past week we went to the Bay Area, and of course I-80 takes you right through Davis. It was in the beautiful book, Oaks of California (Cachuma Press, 1991) that the Peter J Shields Oak Grove, at the UC Davis Arboretum, came to my attention. Oak trees dotting grass covered hills is, for me, the most iconic of our state's many wonders, so I knew I had to make a stop there. You'll definitely want to make sure you're on navigation, whether human or digital, because it's not the easiest place to find. Type it in on Google Maps, though, and it's not so bad. Get off I-80 onto CA 113 N and take the first exit to the right. The grove is just across the street from the veterinary school. We found plenty of free one-hour parking right on the street. Most of the nearly 300 trees planted in the grove came from acorns in the collection of Dr. John Tucker, who was a professor and director of the UC Arboretum. 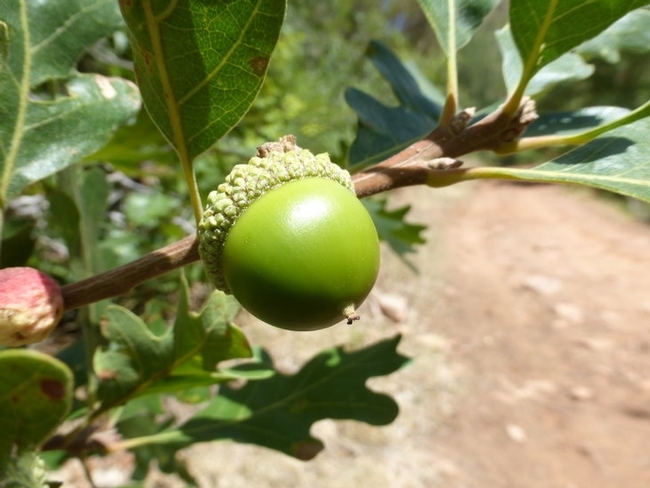 There are more than 500 species of Quercus worldwide, and the Shields Grove features about 100 of those, mostly from California, Texas and Mexico in the New World, with old world species coming mostly from the Middle East. 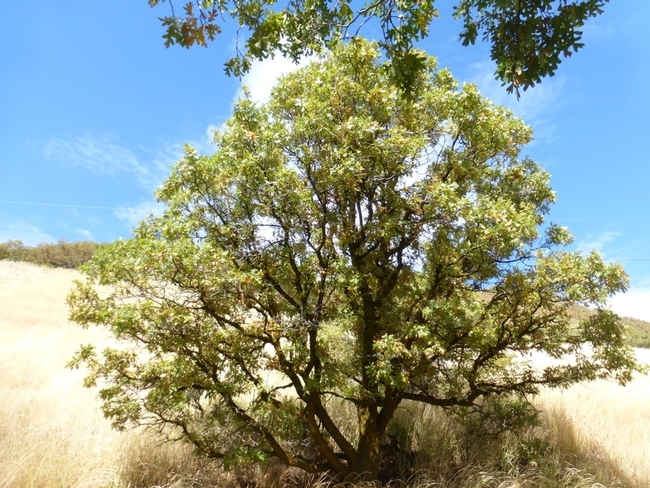 Easily the most impressive as far as size were the Persian oaks (Quercus macranthera) near the grove entrance, 100-foot giants also known as the Caucasian oaks for the mountains they call home. 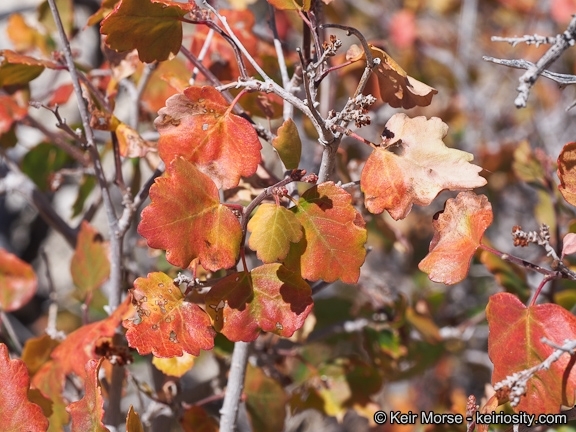 But the Persian oaks are just the beginning of one of the most delightful strolls I have taken in an arboretum. 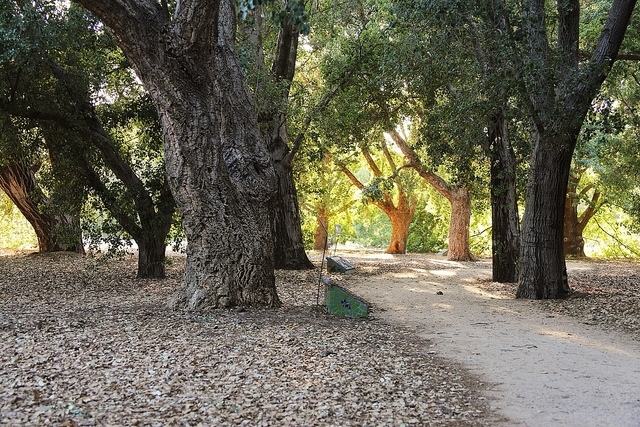 If I lived in Davis, I'm sure I would spend many summer hours under the shade of the oaks. 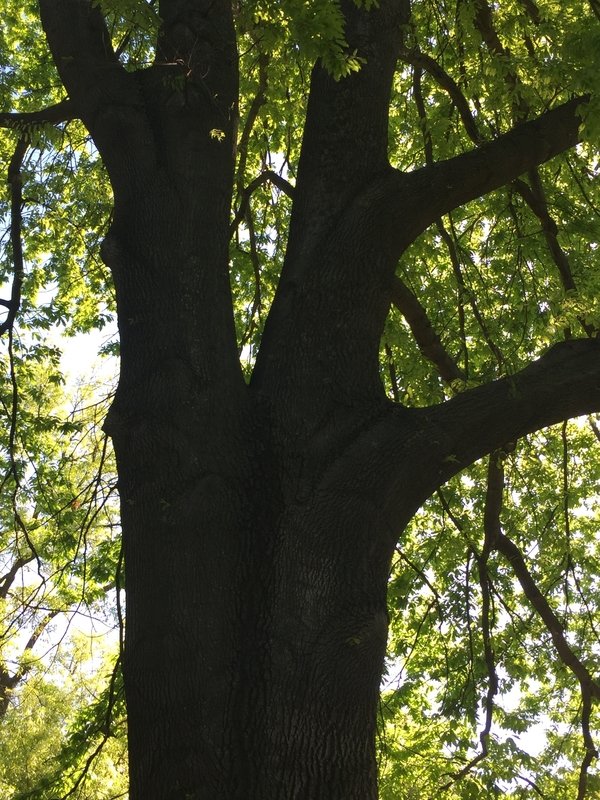 Shields Grove is really a series of connected groves—a netleaf oak grove, an English oak grove, a white oak grove, and groves of various encinos (live oaks) from Mexico—because the trees are planted in groups rather than single specimens. One of the highlights is the gorgeous mosaic tree plaques found throughout the grove, created by UC entomology students in partnership with the Art-Science Fusion Program. 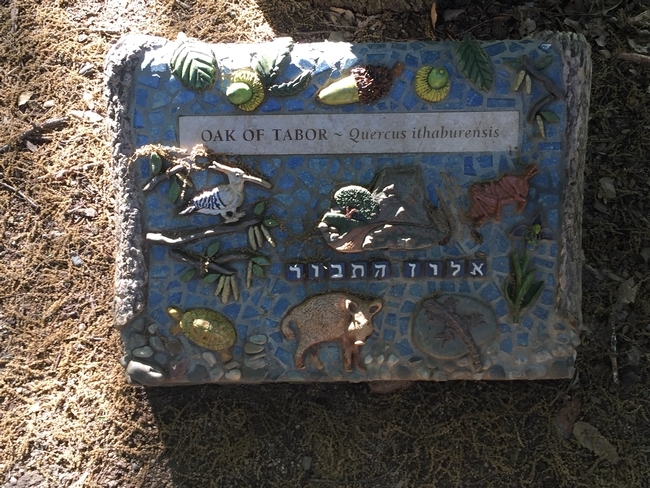 Thirty-five oak species are identified by these one-of-a-kind signs, each one bringing to life the unique leaves, acorns and animals that share its life. 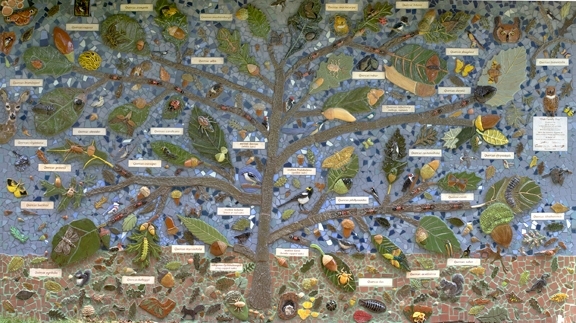 A wall-sized mural near the entrance to the grove shows the oak family tree. 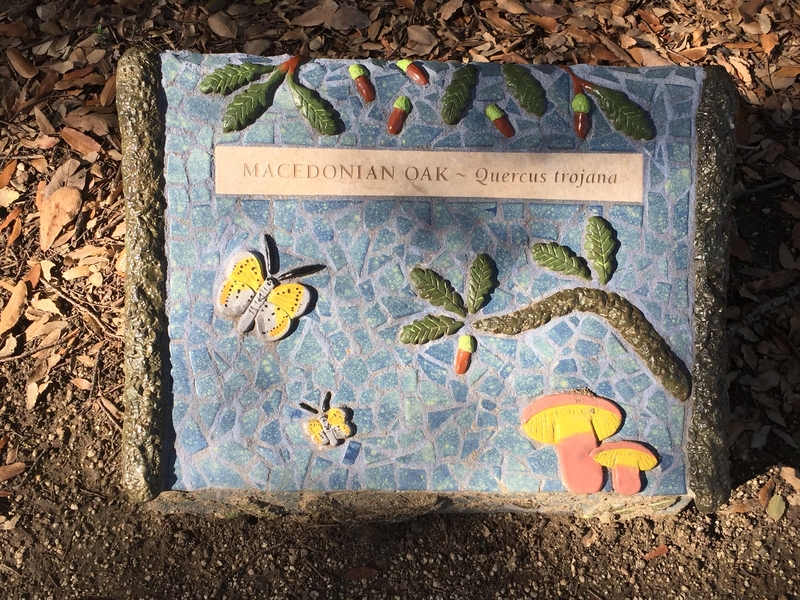 If you're traveling through Davis, Peter J Shields Oak Grove (named after one of the founders of UC Davis) is a great refuge from the traffic of the interstate, even if you're not a plant nut—or even acorn!